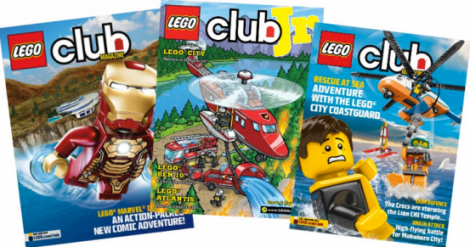 Click Here to order your FREE 2-year subscription to Lego Club Magazine for kids. Once you get to the Lego Club sign up page, you will fill out information for your child. They will then send you an email for confirmation that will have a link to take you to the page to fill in your mailing address. Allow up to 6-14 weeks for delivery of your first magazine. My nephew gets this magazine and loves it. He is so into Lego. This magazine features instructions on how to build Lego stuff, fun games, and photos of awesome Lego designs that were built by real kids.